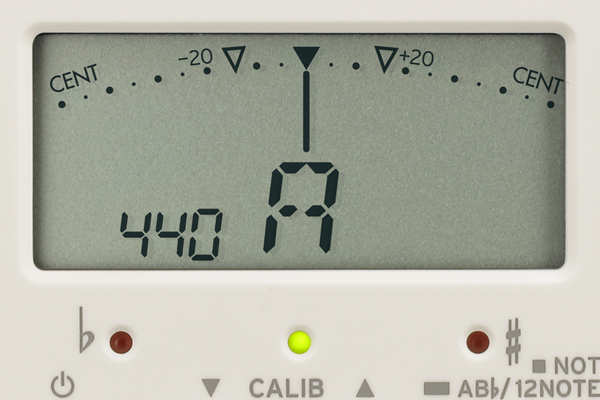 A large note name display for even better visibility. 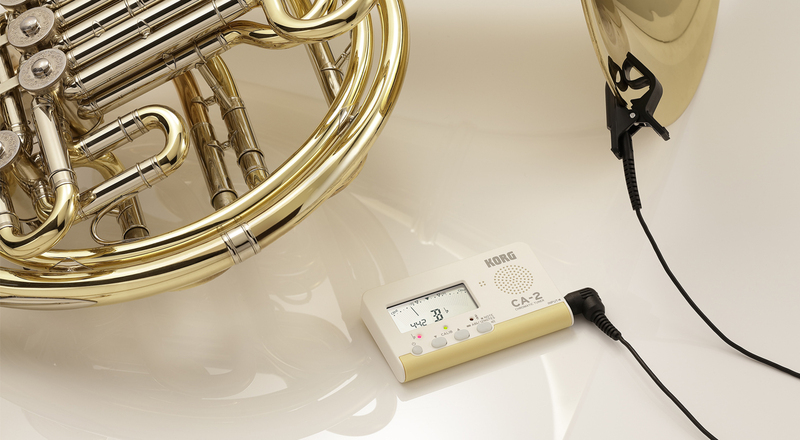 The ideal compact tuner for brass band or orchestra, now with a stylish new look. 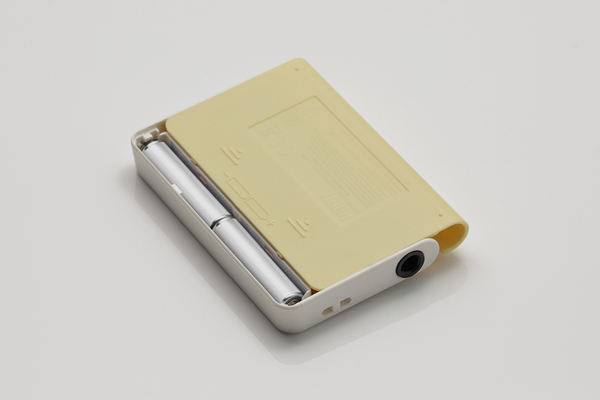 A limited edition is now available as a chic silver model. 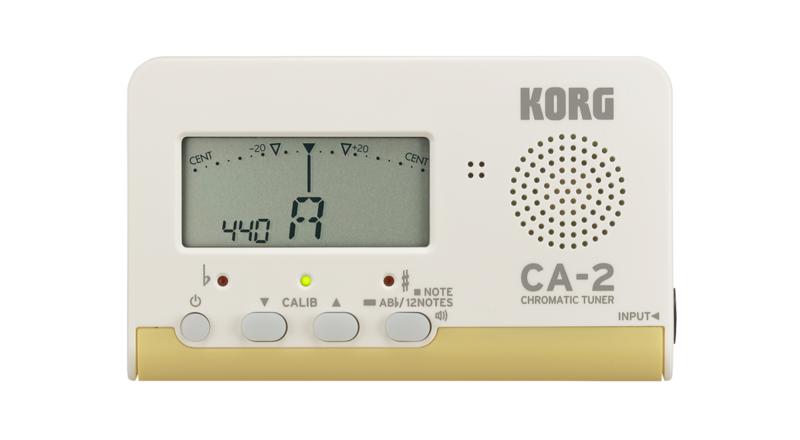 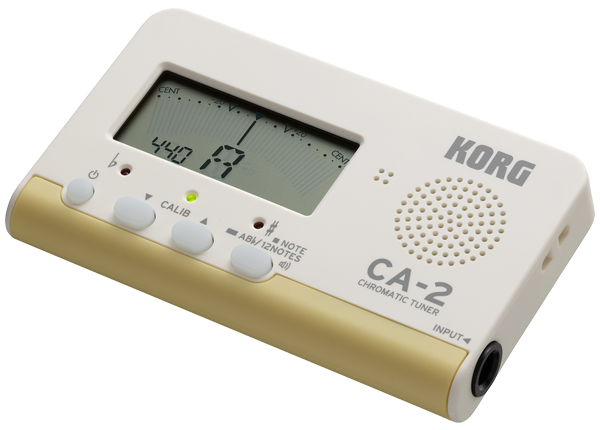 The CA-2 compact tuner, with its stylish design and excellent basic functionality, is now available in a color variation. 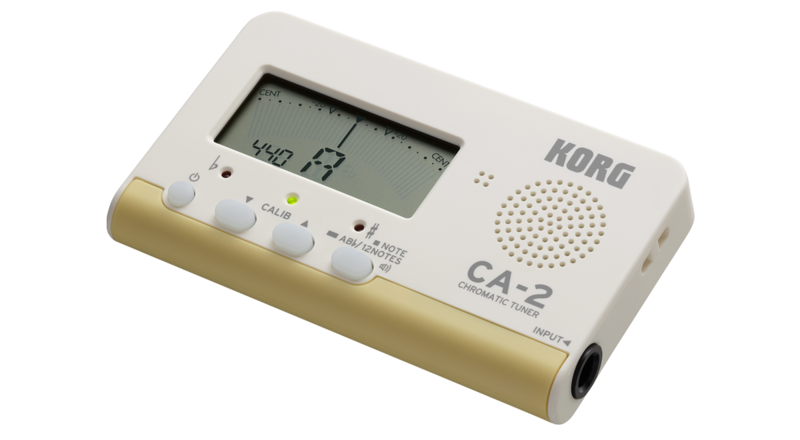 Reduced reflectance and a sophisticated silver single-tone color scheme give the body a cool appearance. 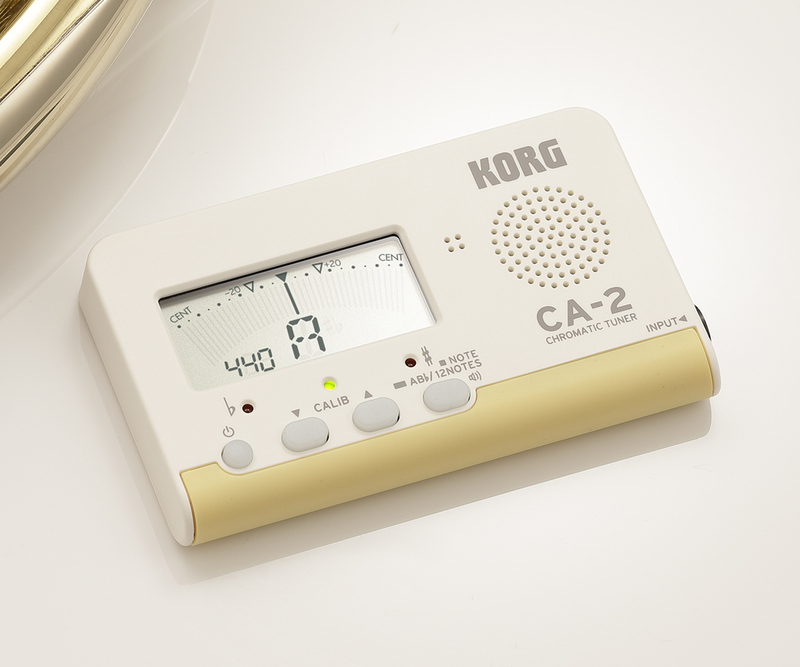 With a restfulness that bespeaks a higher level of quality, this limited-edition model will become a favorite unit of both beginners and veteran players. 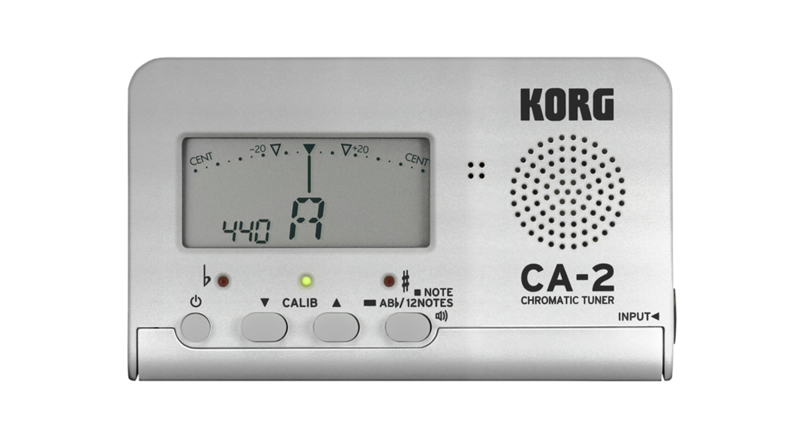 * The choice of note to adjust when tuning to a pure major or minor third will depend on the music you're performing. 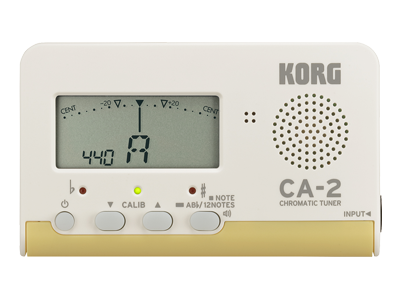 In addition to tuning visually with the meter, you can also tune by ear using a Sound Out mode that's chromatically adjustable in the range of C4–C5.